HOUSTON, Texas — On Monday, Texas Governor Rick Perry helped SpaceX break ground near Boca Chica Beach. Space X, a company that “designs, manufactures and launches advanced rockets and spacecraft,” is building a commercial launch pad control center and will create about 300 new jobs in the Brownsville area. In a statement obtained by Breitbart Texas, Perry touted his state as being at the forefront of technological advancement. According to the governor’s office, SpaceX and the State of Texas first discussed the building of the launch pad while Perry was on a trip to California in 2011. Perry has since helped SpaceX’s CEO, Elon Musk, get clearance from the federal government to build the new facility. 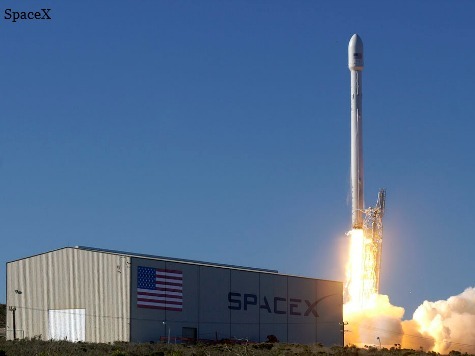 Ultimately the Texas Enterprise Fund was also a critical element of SpaceX’s move to Texas. The fund gave a $2.3 million grant to the commercial space company. Elon added that over time, his company will pump “hundreds of millions of dollars” into the Texas economy. SpaceX will conduct 12 commercial launches, such as satellites, per year, according to the Brownsville Herald. Breitbart Texas previously reported that SpaceX will spend about $73,650,000 building the new launch site. The land on which SpaceX plans to build, which is located just three miles north of Mexico, is immense. The company currently owns 90 parcels in the area, covering 34 acres.